We’re on the River Wey, filming for the planned River Wey and Basingstoke Canal DVDs. With the recent wet weather it’s been a nightmare finding opportunities to film when the River Wey wasn’t in flood. 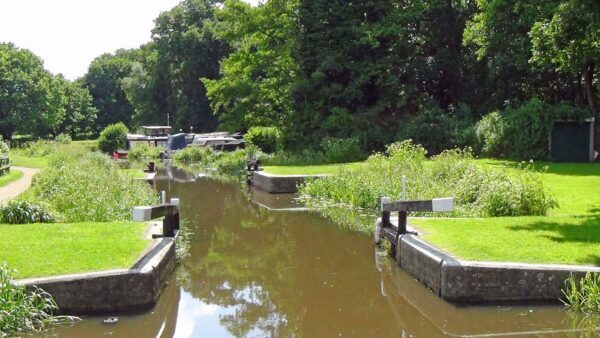 In the end, Monday and Tuesday provided enough great sunshine to film the River Wey. The River Wey joins the River Thames just below Shepperton Lock. 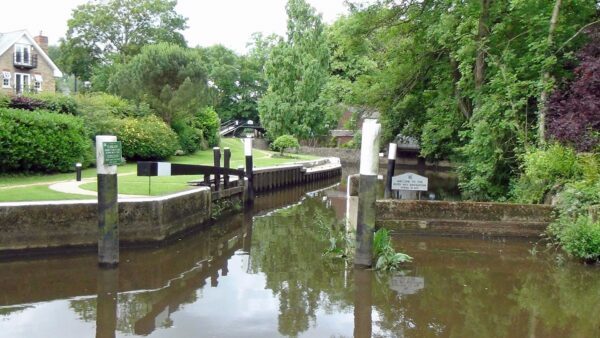 The last lock on the River Wey, as the water flows, but the first to be met by most boaters is Thames Lock. The attractive Thames Lock is staffed, and we received a very friendly greeting from the Lock Keeper and her assistant. 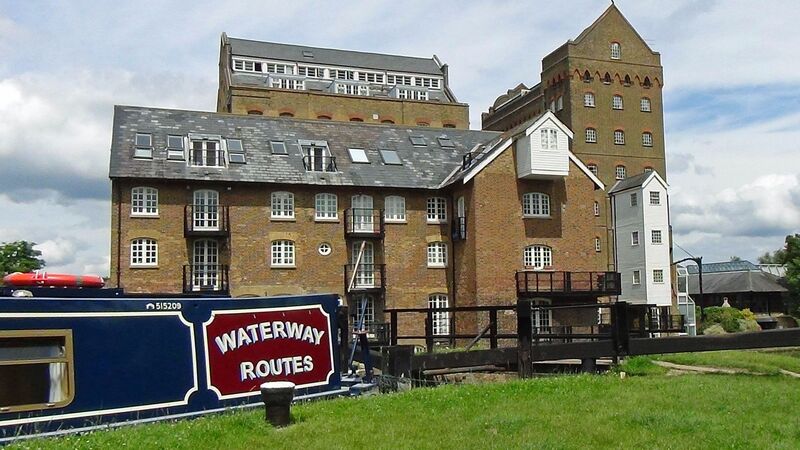 Former mills at Coxes Lock provide an impressive sight. 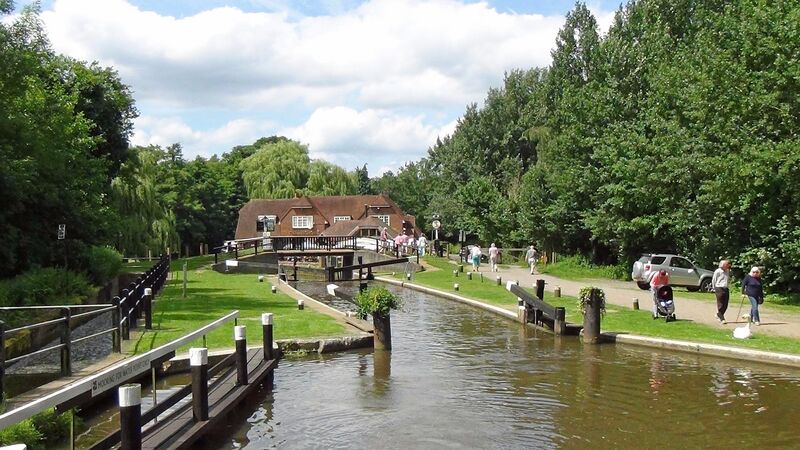 Spectators at Pyrford Lock are dispersing as we leave the lock. They were all keen to photograph us and a lovely couple who used to own their own boat offered to help to make our life easier. 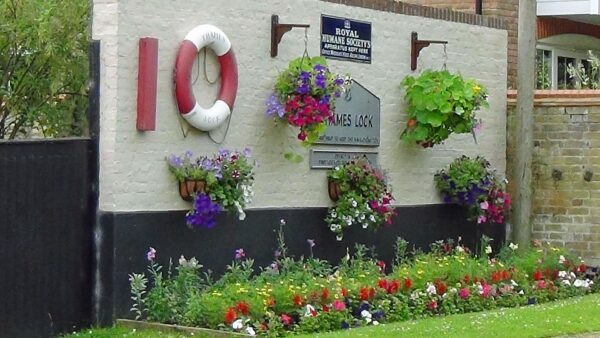 Walsham Gates is one of two flood locks along the river and we were pleased to find it open. 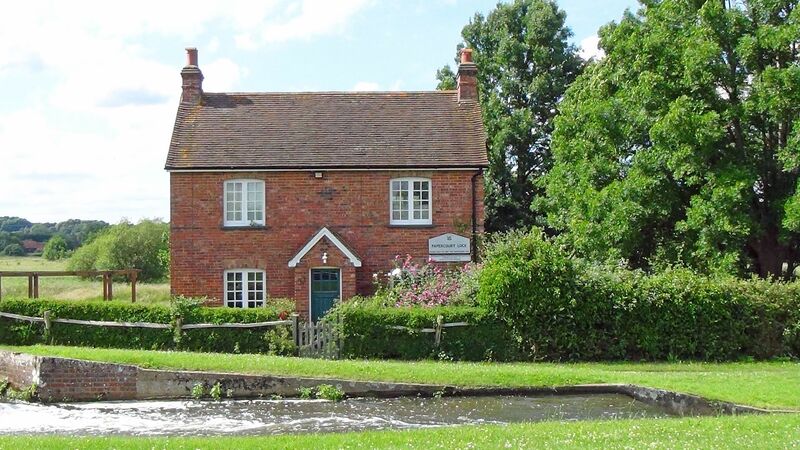 With so many attractive lock cottages at the sixteen locks it’s difficult to know which to film. Another attractive cottage in a different setting at Stoke Lock. We paused at Godalming, squashed in close to the winding point at the corner marked by the white line, but not so close we block its use. The limit of navigation is just beyond, at Town Bridge in Godalming. This is the most southerly point boats can reach on the connected waterway system. 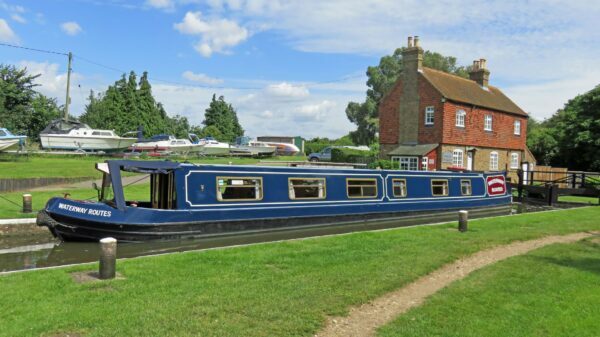 Yes, it really is our boat at the most southerly navigable point on the connected canal system at Godalming. We’ve previously reached the other compass point extremities so we’ve done them all. We’re moored at Dapdune Wharf overnight and will be gradually making our way back downstream to Woodham Junction at the start of the Basingstoke Canal, ready to film that when the weather improves. Looking at the forecast that might be a long wait. 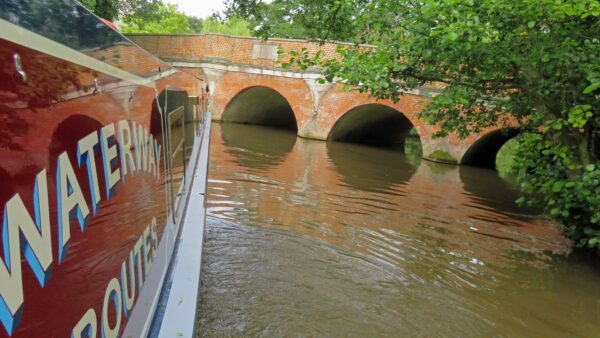 This entry was posted in River Wey by Paul. Bookmark the permalink. 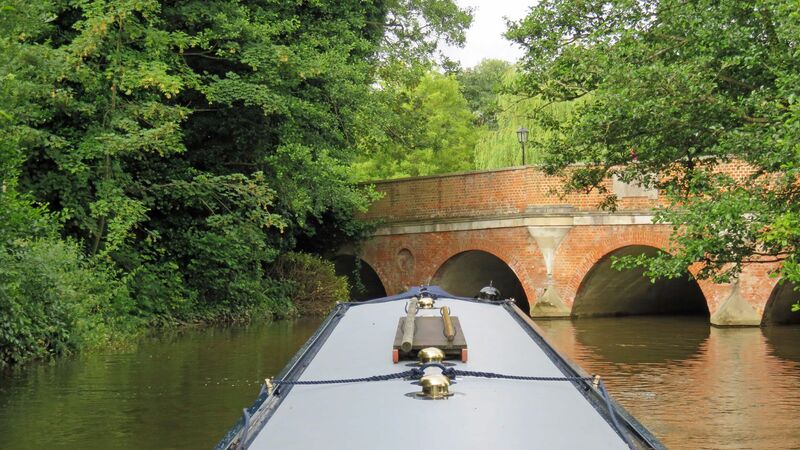 Great post and pictures Paul showing the Wey off very well. 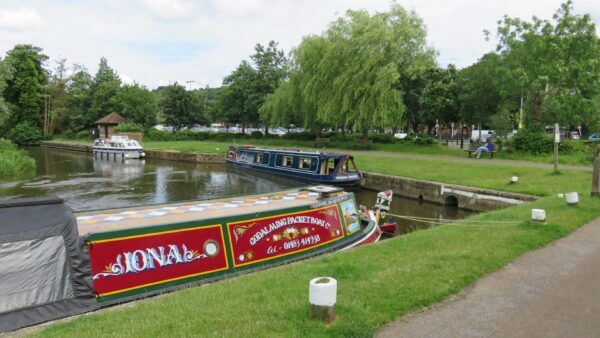 Is not Tewitfield on the Lancaster the most northern since the Ribble Link? Ade: Yes, Tewitfield on the Lancaster Canal is the most northern point and I’ve updated the post to show that. I’d previously blogged about the difference (post now hidden) and forgotten about that.